A new theory derived from classical physics allows scientists to predict how economies worldwide respond to major disturbances such as the 2008 Great Recession or Trump tariffs. A shock pushes economies out of a state of equilibrium. Modern macroeconomics are still based on the assumption of equilibria. That makes them fail when dealing with economies in times of crises. Researchers from the Complexity Science Hub Vienna (CSH) are now proposing a novel method borrowed from physics that makes the effects of major events on out-of-equilibrium economies computable for the first time. Their article was published last Thursday in Nature Communications. The new method adds to current economic models in several ways. The scientists see, for instance, which parts of an economy are particularly vulnerable to a shock, such as a trade war. “We can further quantify how much a shock in one corner of the world affects the production of a given sector far across the globe,” says co-author Stefan Thurner. Modeling responses to shocks helps answer questions like why it took economies so long to recover from the 2008 recession. “A shock does not evaporate,” explains Peter Klimek. Just like a rock that is thrown into a still pond, a shock produces waves. “The shock waves will run through the whole system, following each of its interdependent connections.” The researchers found that it typically takes six to ten years before all sectors of an economy have fully digested a shock. Another line of progress resulting from the new method is that testable predictions can be made. The authors took the input-output data of 56 industrial sectors in 43 OECD countries from the years 2000 to 2014. With this large dataset they tested the accuracy of different economic projections that were dealing with the aftermaths of 2008. “Our method clearly outperformed all standard econometric forecasting methods—most of them substantially,” the authors state. They also estimated the effects of Donald Trump’s new tariffs on EU steel and aluminum, imposed in June 2018. The model finds winners and losers. In Germany, for instance, the output of the automotive industry increases, as do legal activities or wholesale trade. On the other hand, electricity production, warehousing or land transport show a decline. “Interestingly, the production output in most of the EU countries rises so much that it can partly compensate the losses due to the tariffs,” says Thurner. As soon as statistics for 2018 and 2019 are available, the team will test its prediction with real-world data. 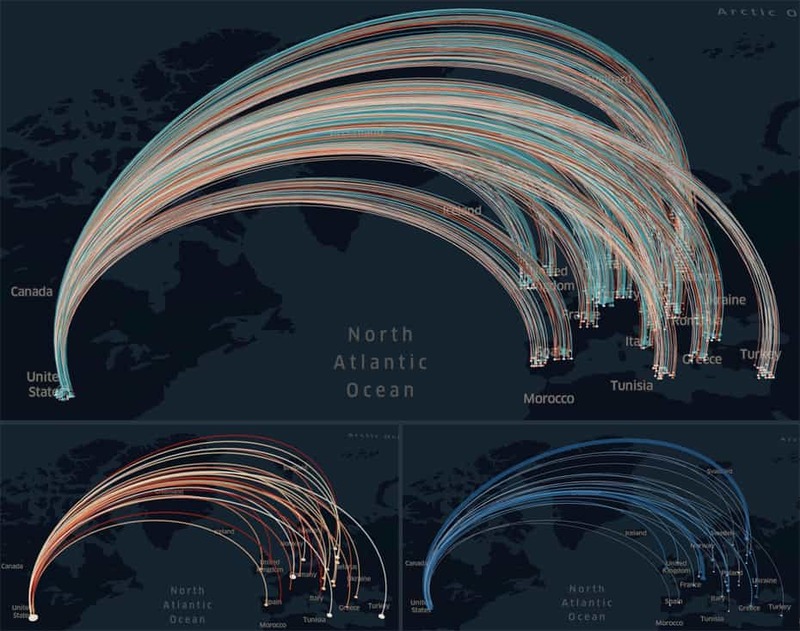 “Our vision is to eventually be able to calculate global effects of all kinds of shock scenarios that can happen anywhere,” the complexity scientist adds. To make it intuitively understandable how economies work, scientists at the CSH employ an interactive visualization tool. It will be constantly fed with new data until the final version should represent the whole world economy. Garcia, Bail, Rahwan, Couzin: Check out the videos!